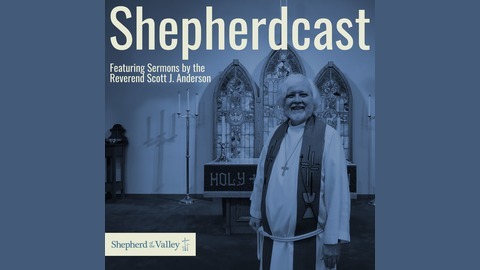 On this Easter Sunday episode of the Shepherdcast, we will be taking a look at , our choir will be performing “Forever (We Sing Hallelujah)” as composed by Brian Johnson, Christa Black Gifford, Gabriel Wilson, Jenn Johnson, Joel Taylor, and Kari Jobe, and the Reverend Scott J. Anderson will be delivering his sermon for Easter Sunday. Today’s episode came from our worship service on Sunday, April 21, 2019. In case you are reading along with a Bible and our readings don’t necessarily match up with yours, we use the NRSV translation of the Holy Bible. Special music heard in this episode of the Shepherdcast includes: “Forever (We Sing Hallelujah)” words and music by Brian Johnson, Christa Black Gifford, Gabriel Wilson, Jenn Johnson, Joel Taylor, and Kari Jobe © 2014 Worship Together Music (BMI), Kaje Songs (BMI), and Bethel Music Publishing. Used by permission. CCLI License # 11421954 CCLI Streaming License # CSPL153044 Our sermon is delivered by the Reverend Scott J. Anderson. Our lay reader this Sunday was Jennifer Crone. Our church choir consists of Pastor Scott Anderson, Bill Bowman, Karen Broadwater, Jennifer Crone, Fred Drotleff, Janine Garber, Jim Hunter, Dan Mason, Marilyn Mason, Terri Wanner, and Michelle Ward, and is under the direction of Susan Kaschak. Our sound room technician for this Sunday was Brock Bowman. 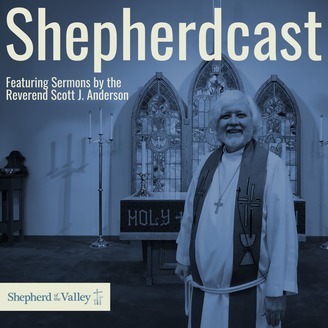 This podcast was hosted and produced by Jacob H. Schandel for Shepherd of the Valley Evangelical Lutheran Church. To learn more about our church, please visit www.sotvchurch.com, or follow us on social media @sotvsandyville. Our church is a member congregation of the Evangelical Lutheran Church in America. You can learn more about the ELCA at www.elca.org, and you can learn about our local Northeastern Ohio Synod at www.neos-elca.org.